Sony Ericsson yesterday added another member to their expanding portfolio of Android phones, by announcing Xperia X8. The new Xperia X8 comes after Xperia X10, Xperia X10 mini and Xperia X10 pro announced last year. 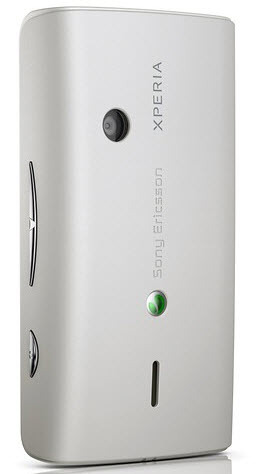 The Sony Ericsson Xepria X8 has a size that fits in between Xperia X10 and X10 mini. Earlier known as Sony Ericsson Shakira, Xperia X10 has pretty old Android 1.6 OS with custom Sony Ericsson interface that is being used in other models. The Sony Ericsson UI widgets like TimeScape and MediaScape are also available with Xperia X8. This quadband GSM, 3G phone would be available at a very competitive price as per the initial reports. The Sony Ericsson Xperia X8 uses Android OS 1.6, at the same time most of the latest phone models use version 2 and above. This has reduced the capability of the phone in certain aspects. Especially the browser and the hardware speed and support for latest web and technologies are limited when in comparison to HTC phones. However, Sony Ericsson TimeScape and MediaScape add special functionality to Xperia X8. In TimeScape, all the updates from Twitter, Facebook, Flickr and social media services, email and messages are arranged to single window like UI. Sony Ericsson TimeScape uses a special transition effect to view tweets, updates and messages. The TimeScape UI can be customized to opt out or add social services and view them in separate tabs. The MediaScape in Sony Ericsson Xperia X8 brings all music, videos and images in a single place. The MediaScape can also download images from Facebook and Picasa account of the user. Sony Ericsson is working on Android 2.1 update for all its Xperia models. So the Xperia X8 would also get the latest software update in few months. Sony Ericsson Xperia X8 has a pretty standard 3.2 MP camera with video recording, but no flash. It has 3 inches capacitive touch screen with 320 x 480 pixels resolution and 16M color support. Its processor is 600 MHZ with 128MB internal memory. The storage of Sony Ericsson Xperia X8 is expandable up to 16GB and 2GB card is included in the package. Other features of Xperia X8 include accelerometer sensor, 3.5 mm headphone jack, Bluetooth with A2DP, FM radio with RDS, A-GPS, WIFi, YouTube, Facebook and Google apps, Li-Po 1200 mAh, etc. 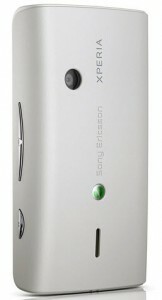 Sony Ericsson Xperia X8 will be launched in the third quarter of 2010 for an expected retail price of 200 EUR. So when if launched in India, the Xperia X8 will cost around 12000 INR.